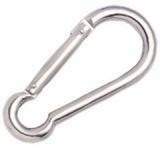 2 way halter buckles. 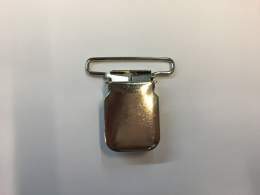 Nickel plated ***NEW ORDERING INSTRUCTIONS Order by the piece (minimum 6 pcs. ), rather than multiples of 6 pcs. 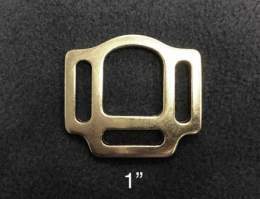 3 way halter buckles. Nickle plated ***NEW ORDERING INSTRUCTIONS Order by the piece (minimum 6 pcs. ), rather than multiples of 6 pcs. 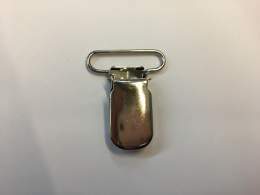 Overall buckles 1.5" wide Use with jean buttons (not included) ***NEW ORDERING INSTRUCTIONS Order by the piece (minimum 6 pcs. ), rather than multiples of 6 pcs. 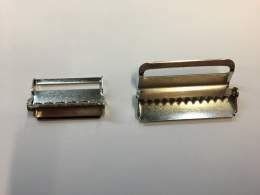 1" suspender clips. Nickel plated. Plastic "teeth". ***NEW ORDERING INSTRUCTIONS Order by the piece (minimum 6 pcs. ), rather than multiples of 6 pcs. 1.5" suspender clips. Nickel plated. Plastic "teeth" ***NEW ORDERING INSTRUCTIONS Order by the piece (minimum 6 pcs. ), rather than multiples of 6 pcs. 2" suspender clips. Nickel plated. Metal "teeth" ***NEW ORDERING INSTRUCTIONS Order by the piece (minimum 6 pcs. ), rather than multiples of 6 pcs. Heavy duty suspender clips. Nickel plated. Metal "teeth" ***NEW ORDERING INSTRUCTIONS Order by the piece (minimum 6 pcs. ), rather than multiples of 6 pcs. 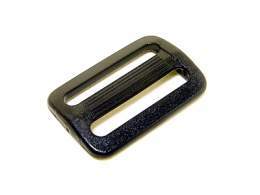 Heavy duty suspender clips have a metal 'pin', in addition to plastic 'teeth' to prevent slippage. Please note that the pin pierces though fabric and discretion should be used when using, as it can tear through some fabrics. ***NEW ORDERING INSTRUCTIONS Order by the piece (minimum 6 pcs. ), rather than multiples of 6 pcs. Suspender adjusters. Use to adjust elastic on suspenders. 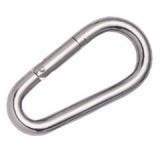 Nickel plated ***NEW ORDERING INSTRUCTIONS Order by the piece (minimum 6 pcs. ), rather than multiples of 6 pcs. 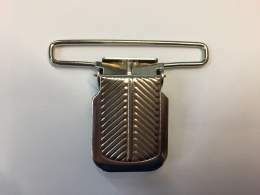 Plastic side-release buckles. Commonly used on luggage, backpacks, fanny-packs, etc. ***NEW ORDERING INSTRUCTIONS Order by the set (minimum 6 sets. ), rather than multiples of 6 sets. 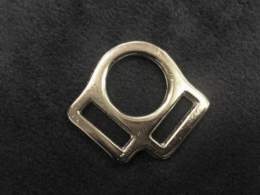 Heavy, rounded side-release buckles. ***NEW ORDERING INSTRUCTIONS Order by the set (minimum 6 sets. ), rather than multiples of 6 sets. 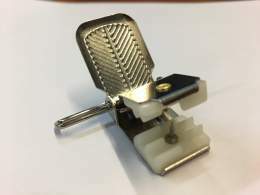 Side-release buckles that have adjusters on both ends. ***NEW ORDERING INSTRUCTIONS Order by the set (minimum 6 sets. ), rather than multiples of 6 sets. 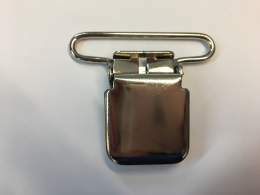 Contoured side-release buckles. Great for animal collars. PLEASE NOTE THAT THEY ARE NOT BREAKAWAY ***NEW ORDERING INSTRUCTIONS Order by the set (minimum 6 sets. ), rather than multiples of 6 sets. Plastic tri-glides. Use to adjust length of items such as backpack straps, etc. ***NEW ORDERING INSTRUCTIONS Order by the piece (minimum 6 pcs. ), rather than multiples of 6 pcs. Plastic tri-glides. Use to adjust length of items such as animal collars. ***NEW ORDERING INSTRUCTIONS Order by the piece (minimum 6 pcs. ), rather than multiples of 6 pcs. Also known as 'square rings' ***NEW ORDERING INSTRUCTIONS Order by the piece (minimum 6 pcs. ), rather than multiples of 6 pcs. Heavy duty ladder locks ***NEW ORDERING INSTRUCTIONS Order by the piece (minimum 6 pcs. ), rather than multiples of 6 pcs.